How annoying is it when an award winner gets played off stage at the Oscars? Like, I know there's a time crunch and producers have certain marks to hit to ensure the show doesn't run long and, I don't know, disrupt the newscast after it, but still: After a point, hearing that music that alerts the celebrity mid-sentence that their time on stage is up just gets grating after while. And no matter who the celebrity — Jennifer Lawrence or Meryl Streep — everyone's susceptible to the music. Apparently, even the host, if this promo is any indication! In a new teaser for her upcoming hosting duties, Oscar host Ellen DeGeneres is played off stage during her promo, despite, y'know, kind of running the whole show and stuff. 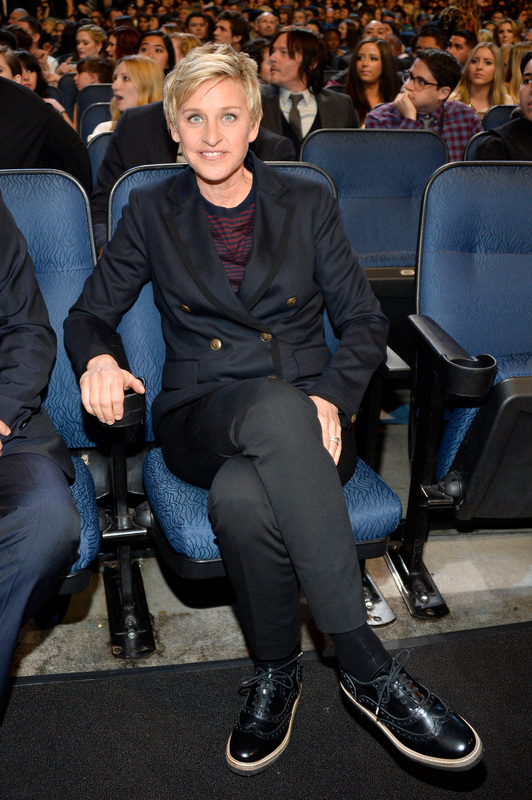 "I just want to thank the Academy for asking me to host the Oscars again," Ellen begins wholeheartedly, as the music starts up. "OK, wrap this up, yeah...it's an honor for me to host the second time…and I love you all! Thank you so much!" Understandably, the teaser is only 15 seconds long before Ellen gets kicked out, because that goddamn music started like three seconds in. The teaser is delightful though — at least we all know the show will be charming! You can check out the clip below. The Academy Awards will air on March, on ABC.